Upper Deck Evolution video cards are back. 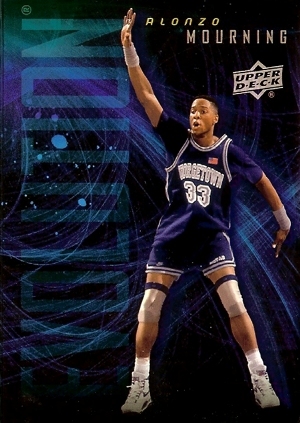 The three basketball-themed cards are a surprise inclusion in 2011 Upper Deck World of Sports, which is finally arriving after several delays. Not advertised in advance, the trio of new Upper Deck Evolution cards focus on Michael Jordan, Chris Paul and Alonzo Mourning. Each features video highlights from their college days. Upper Deck debuted video trading cards last spring in 2011 Upper Deck Football. The cards were a bonus in random boxes. While the novelty of the multimedia trading cards generated a lot of hobby buzz and media coverage, it didn't translate into huge secondary market returns. In the past couple of months, just one of the cards has sold for more than $50 with most selling for $25-40. Most would say that the first batch of Upper Deck Evolution cards were a disappointment in that regard considering the amount of hype they arrived with. 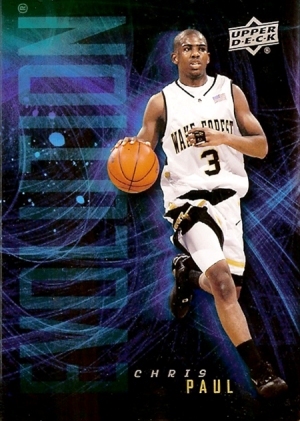 Panini countered a few months later in 2010-11 Totally Certified Basketball with their HRX video cards. These were received much better. Today, HRX cards still pull in more than $200 with autographed versions going for a lot more. It's still early to say how popular the new Upper Deck Evolution video cards are going to be. The design elements appear to be largely the same, including the folded cover. 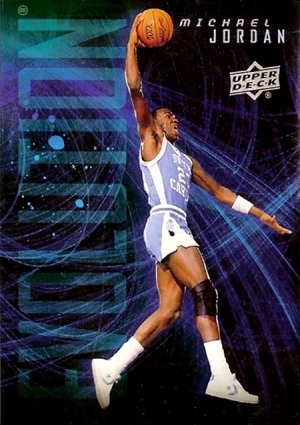 So far, a pair of the Michael Jordan video cards have been listed on eBay, one of which has a Buy It Now of $109. Expect several more to be listed in the coming days as more of Upper Deck World of Sports boxes get busted. With this being just the third set to have video trading cards, the future of the high-tech collectibles is still unknown. They're still extremely rare and, for many collectors, more of a novelty. What are your thoughts on video cards like Upper Deck Evolution and Panini HRX? Feel free to leave your thoughts in the comments area below. Jeff (ID 37925) � I don’t know why those specific cards are soaring, but all Michael Jordan stuff seems to be taking off again and setting new highs. It’s really quite amazing seeing some of the prices being reached. However, Jordan’s global appeal opens the market up and today, all it takes is two or three people with deep pockets to set new standards.